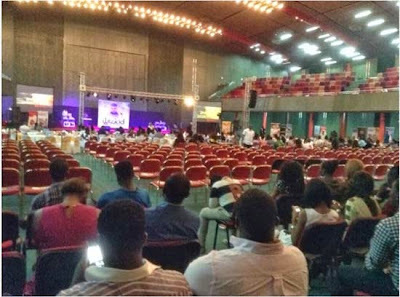 Yesterday 20th the event (poster above) Wizkid invasion was to be held,well it held but it reportedly flopped big time as half the crowd well thought it better to stay back at home. See Images from concert room below.. 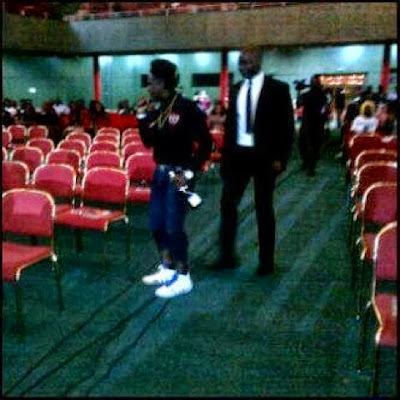 According to feedback from Fans,Wizkid is said to have become so proud and rude to his fans. From lashing out at fans on twitter or calling them poor and not actually knowing how to be humble and adequately manage fame,Fans seem to want to teach Wizkid a lesson that its the public/people who make you and when they turn on you they can also break you. 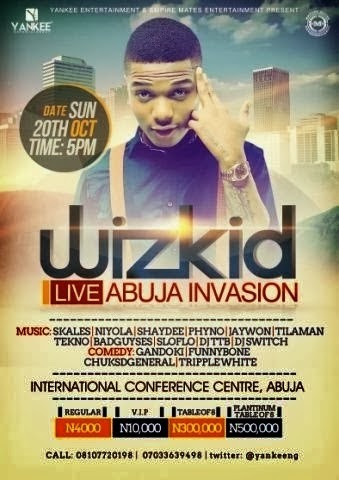 So is this a one of thing for wizzy or has he lost his mojo just like that??!! Well lets just say there is a time and a season for everything how you manage would determine how you remain relevant.